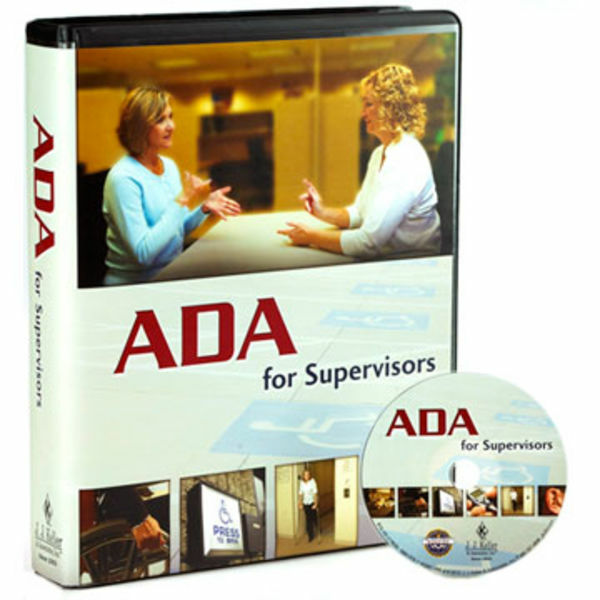 Train supervisors and managers on critical Americans with Disabilities Act (ADA) information. This DVD and CD will help supervisors and managers gain a general awareness of the ADA and why it is important to understand how the law works, outline what supervisors must do when dealing with ADA issues in order to assist employees who request accommodations, and help the company stay in compliance. To which employers does the ADA apply? Which employer actions are covered under the ADA? How does the ADA define an individual with a disability? (1) 32-minute video - Provides an instructional blend of explanation, commentary and situational scenarios. Presented in a dynamic, contemporary style to keep trainees engaged. Includes additional 28 minutes of extra video segments. (1) Trainer Tools CD-ROM (not sold separately) - Includes a PowerPoint presentation, a reasonable accommodation learning activity, a video scenario review blank, quizzes and answer keys, and a training log.